Rachid: The Samsung Galaxy Nexus is pretty much the phone to have right now. As a Nexus phone it's probably the only phone you can get your hands on right now that guarantees future updates to the next few iterations of android at least. 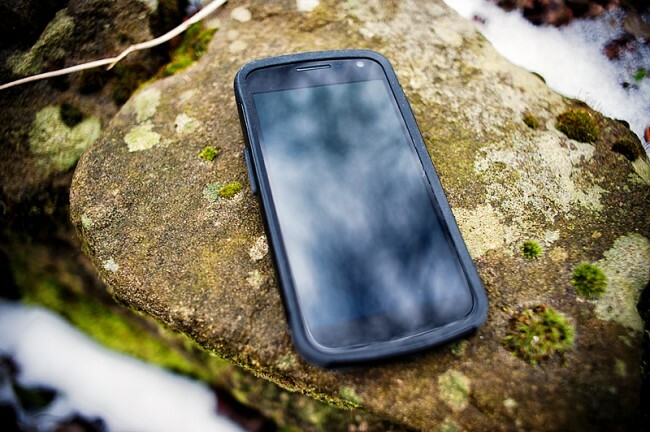 Here at Droid-Den we've reviewed a few cases for the Galaxy Nexus, and today we're happy to have been able to test out an Otterbox case for the Galaxy Nexus. Take the jump to see our thoughts on the Otterbox Commuter case. Otterbox have seem to have gone for protection over beauty with this one! place correctly. Obviously it's no brain teaser, it just took a few attempts to get everything aligned correctly. cameras or microphones, however, it does cover the docking port with no move-able flap. any loose dirt or lint from your pockets and also gather it onto the screen. Not good. detracts from the slickness of the phone, making it much less sleek and pretty. layer, of which, are able to be accessed easily by flaps in the material. The bottom flaps are extremely annoying. to me, outweighs this slight flaw. quality screen protectors in the past and this isn't one. Avoid. in a much slimmer manner.